Cuban culture is a colorful mix of different influences. Notably, Cuba´s ethnic diversity and colonial history hugely contributed to its impressive reputation in the area of art and culture. 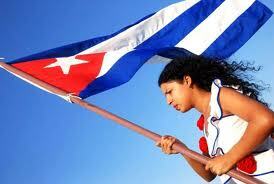 Ofcourse, the Cuban Revolution hugely affected Cuban culture as well. There is a strong artistic participation amongst Cuban citizens, either through artists formally trained in state-provided art schools, or self-taught amateurs. Cubans greatly enjoy music, and many musical styles and dances originate from this tiny island (think chachacha, salsa, or son). Architecture Cuba hosts a miscellaneous collection of different architectural styles, practically most of which remained intact and original. Museums Although the island hosts no Prado or Guggenheim, there are some museums definetely worth a visit. Music Part and parcel of the Cuban way of life. Film Cuba has an interesting, internationally recognized film industry. Festivals If you get the chance, visit one of Cuba´s interesting festivals ranging from ballet to comedy, to film and music. Media Despite government repression, new media such as the Internet increasingly allow one to read uncensored public and private opinion. Famous inhabitants Many Cubans are famous around the world for their work, skills and achievements. Sports Constitutes an important part of Cuban cultural life, with baseball, basketball and volleyball enjoying widespread popularity. Explore this section for more information on each of these subjects!